If I had my druthers, I would have "shot" this post outside of Pink Elephant Liquors, which is a liquor store in Hollywood where author Charles Bukowski bought all of his booze. 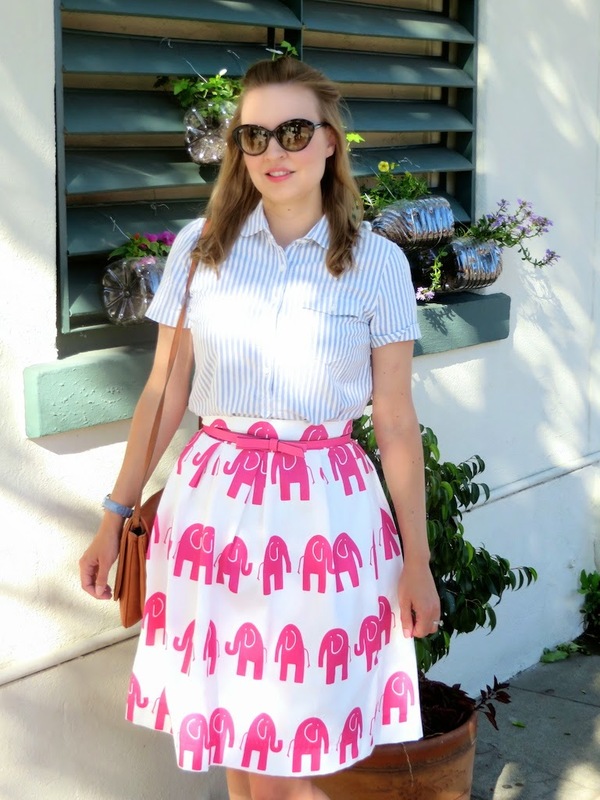 I haven't, however, had the opportunity to get there lately, so here I am in this preppy pink elephant skirt on my way to get pizza with my husband in a neighborhood closer to home. This cute, hometown atmosphere is probably a little more appropriate for this look, however, than a gritty liquor store in the heart of Hollywood. 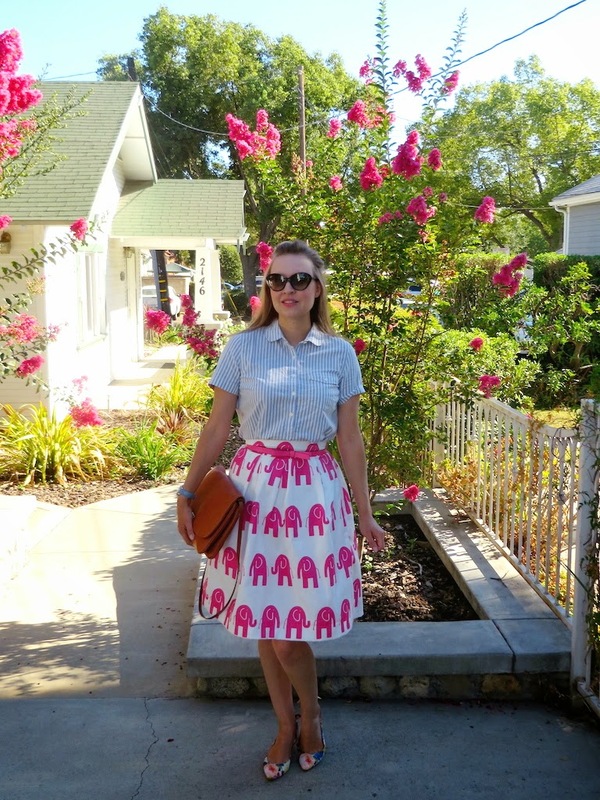 This elephant skirt was an Etsy find from designer Hannah Everly. 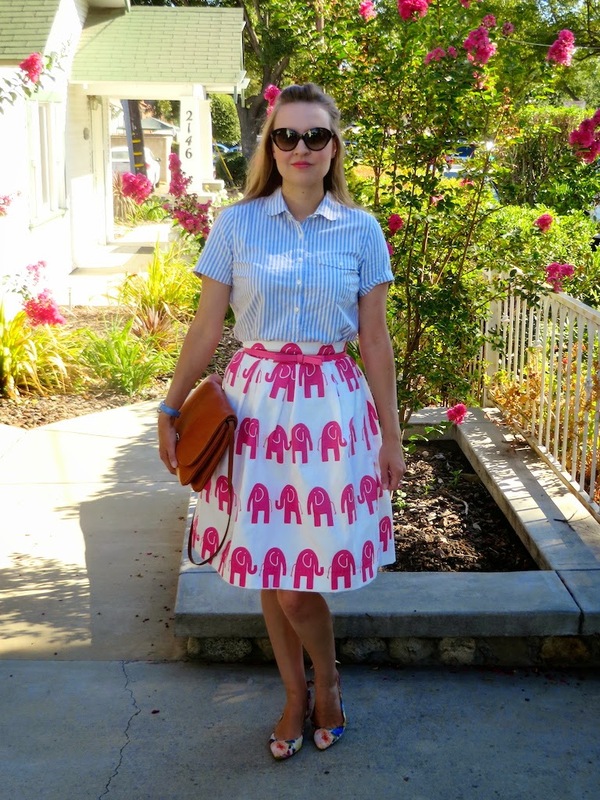 She makes super cute skirts with stripes, bows and yes, even elephants as seen here. I was lucky to get what I think was the last skirt in this fabric from her, as they are now sold out on her website. I love that Etsy allows you to buy from local artists and designers who hand make items here in the U.S.A. This skirt was about $45 and I think it's a great deal. 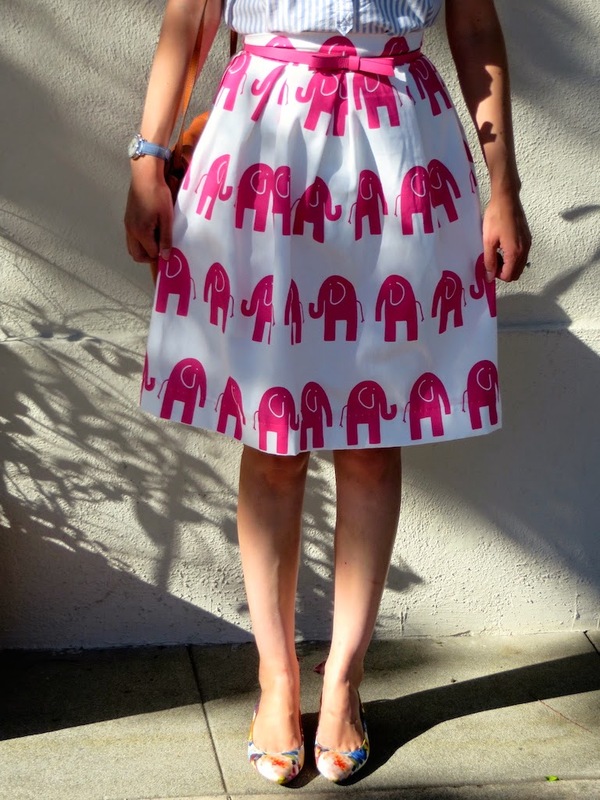 I'll probably be back for more skirts, as an elephant never forgets, especially when it comes to adorable skirts! 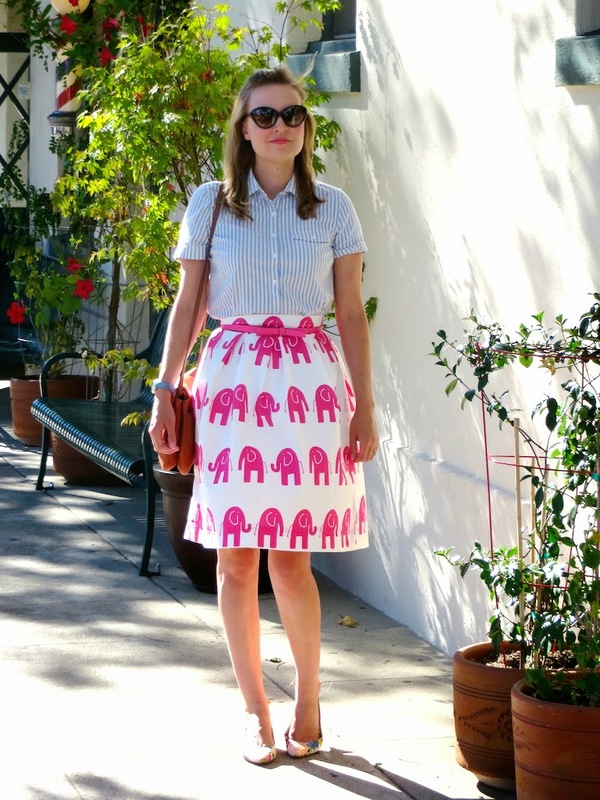 Oh my, this skirt is just adorable! Love the whole outfit! Hope you are enjoying your summer. I enjoy reading all your posts featuring southern CA locations. Thank you M! I am enjoying summer, but it is quickly coming to an end! This is my last week. I hope you had a great summer too!